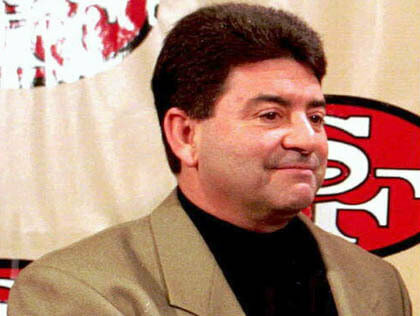 DeBartolo was actively involved in franchise ownership and sports management, becoming one of the most successful and generous owners in professional sports. His ownership of the 49ers proved especially notable. During his twenty-three years owning the team, beginning in 1977, the 49ers won an unprecedented five Super Bowls under coaches Bill Walsh and George Seifert, Super Bowl XVI, Super Bowl XIX, Super Bowl XXIII, Super Bowl XXIV, and Super Bowl XXIX. From the early 1980s through the mid-1990s, DeBartolo presided over a team that had the winningest decade in football history.